LG have recently updated their line of Cinema 3D Smart TV’s – with improvements that include a new voice-sensitive Magic Remote; much thinner bezels in the new “borderless” design; and an improved PenTouch stylus technology. The new 2012 lineup will also feature improved apps and software that were introduced in the 2011 line. Of course, you’ll still get the much touted “flicker-free” Cinema-style 3D glasses. These are exactly like the ones they lend you at the theatre – lightweight, no batteries, and no flickering. Rounding out the features include the fast TruMotion 240hz refresh rates, the 2D to 3D conversion software, and online content like the K-POP Zone and certain local sources like iWanTV, Yahoo, Inquirer, and so on. The 2012 edition of the Cinema 3D Smart TV’s from LG are the newest high-end offerings from the Korean manufacturer and offers a lot of improvements over the previous years’ models. For one, the upgraded Magic Remote now has a microphone for a new voice search functionality. These new models also feature a near borderless design created by renowned interior and furniture designer Kenneth Cobonpue. And finally, you also get improvements in the form of updated Smart TV apps and improved content portals like the 2D to 3D converter, K-POP Zone (a good source for 3D content), local content applications, and a Social Center for keeping up with your loved ones through Twitter, Facebook, and even through Skype video chats. The LG TV’s are of course known for several features that is more or less unique to the brand. A combination of a Film-Pattern Retarder technology, a polarized 3D display, and TruMotion 240hz refresh rates ensure flicker-free viewing and inexpensive, lightweight 3D glasses. 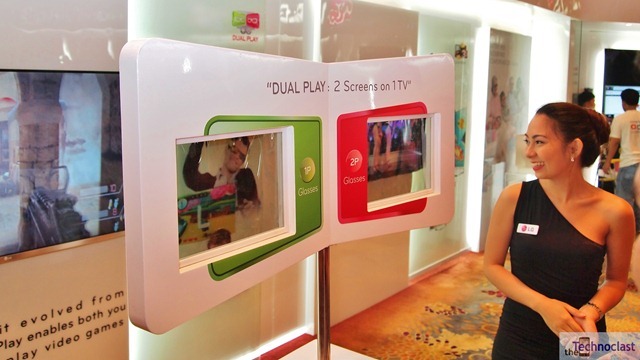 It also allows for 2 player full-screen gaming by having two pairs of glasses showing a different view on the whole screen each. The aforementioned Magic Remote control is a motion sensitive remote that allows you to move an onscreen cursor for faster menu navigation. You can also use a different pointer called a PenTouch stylus which will allow you to interact with the screen like it was a pen – giving rise to apps like the Sketchbook or possibly taking notes or doing presentations. You can see these in action in our video below. The new LG Cinema 3D Smart TV’s should be available now from accredited LG retailers nationwide and the prices range from PHP 80,000 to PHP 300,000+ with sizes ranging from 42” to 65”. Check them out if you’re so inclined!